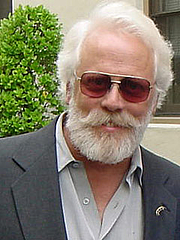 John Garman "J. G." Hertzler (born March 18, 1949) is an American actor, well known in the Star Trek community for his role on Star Trek: Deep Space Nine (DS9) as the Klingon General (and later Chancellor) Martok. J.G. Hertzler is currently considered a "single author." If one or more works are by a distinct, homonymous authors, go ahead and split the author. J.G. Hertzler is composed of 1 name.